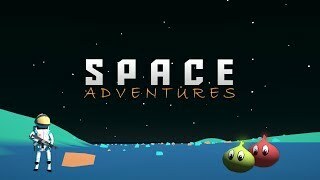 Space Adventures is a space shooter action game where you kill aliens. The alien name is Joja, they are cute but very deadly. Astronauts name is Matt and no one knows how he got to Joja's planet. His rocket broke down and he ended up on a planet named Joja. Create terrain with an image and fight cute aliens! Reach the biggest wave and compete with your friends and family! FEATURES: ● Supports Croatian and English ● Creating terrain from an image. ● Every game is special no matter what photo you take. ● Compete with your friends and other people comparing waves. ● You don't need Wi-Fi or data for playing this game! ● Addictive music made by TheFatRat. • Added localization for Croatian and English language. • Added advanced AI movement. They now want to surround the player. • Added bigger Joja (boss alien) that will spawn every third wave. • Fixed bugs with loading levels on slower devices. Added another loading screen before spawning player on the terrain. • Level system where you get stars for completed wave - if you complete two waves you can advance on the second level. • Coins which you get for killing Joja's. • Adding Facebook SDK for Facebook leaderboards. • Market for custom skins and weapons. Hvala na kritici! Trenutno radimo single-player, nakon toga ćemo dodati range napade za Joje i nova oružja za astronauta. if the game worked how it's supposed to work, it would be so awesome! I was going to install this game but then I noticed on Android at least, that it asks for Camera permission. I don't know why a game would need the Camera permission, and there is no explanation on the google play store page, so I didn't install because that just made me suspicious. I'd recommend either saying on the store page why you need the Camera permission, or remove the Camera permission from the Android manifest, because I imagine a lot of players will not download it based on that suspicious permission request. 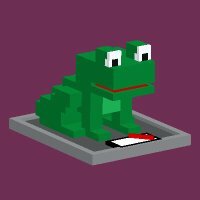 Hello HeavyFrogGames! 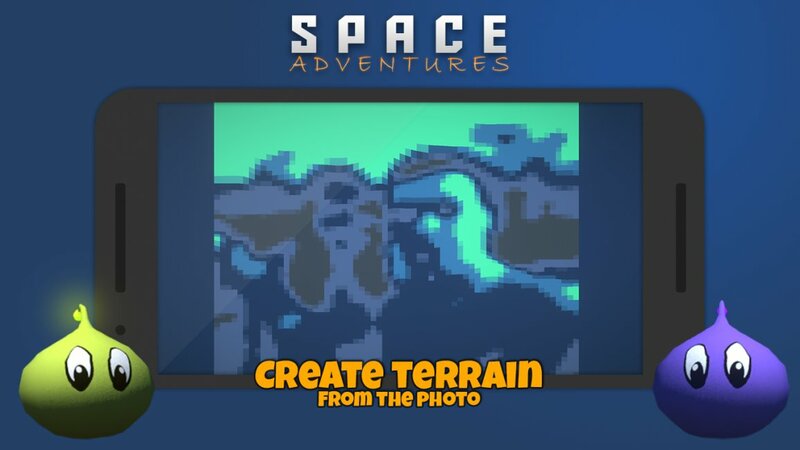 Space Adventures requires camera permission because it uses that image for the terrain generation (like this one: https://twitter.com/b_bmatt/status/1064605059957313537). And that image is not saved in the game memory only pixel brightness as floating point numbers. We will update our Google Play Store page and say why we use a camera. Hello, praabal! Can you be more specific about controls? You have joystick and auto aim that automatically turns to the aliens. The story and the introductions of the characters in the video are very nice! The aliens need some more working on, Matt is super cool though! The UI in the game when playing is little hard to understand, maybe you could highlight the buttons to push or something like that. But I really like the idea of the game so keep on going! Hello eazlay, thank you for the roast! I will try to create some animations on the UI. Aliens look like cartoon onions on purpose! I don't like the screenshoots. Aliens characters looks like onions from 3D modelling tutorial. But when I installed the game I liked nice UI graphics and animations. I didn't use camera for level design and level for me was generated from black empty picture. And i think you need to add some texture to the ground, because when player moving and ground color/texture always the same it's like he is running on the spot. Aliens look like cartoon onions on purpose! Yeah, I will try with adding some texture on the ground. Thank you for your feedback!